This PHP site with flash navigation is for Electronic Arts to provide a homebase for their flash game Mirror`s Edge 2D created by Brad Borne. This site features the flash game, an extensive leaderboard system, account login, friend challenges, YouTube video posting, downloadables, and a forum link. I am responsible for the design of each page, the flash menu, and the intro animation for the game. 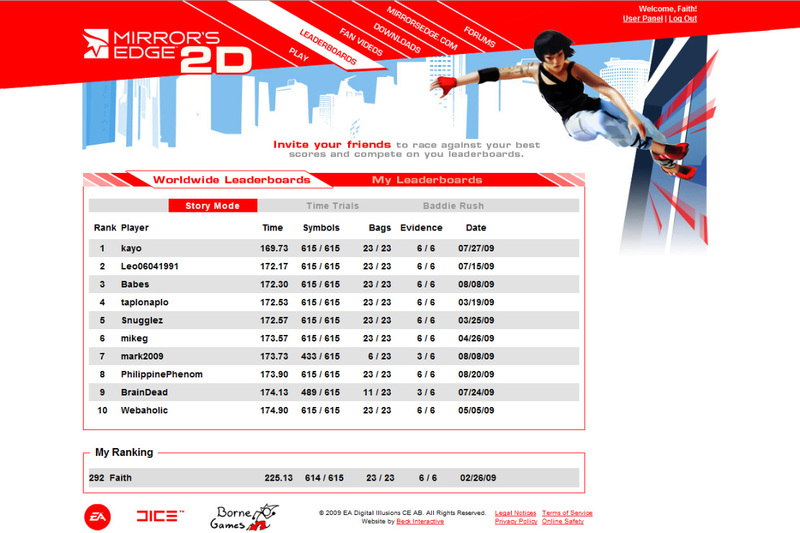 MirrorsEdge2D.com © 2009 Electronic Arts Inc. All Rights Reserved. 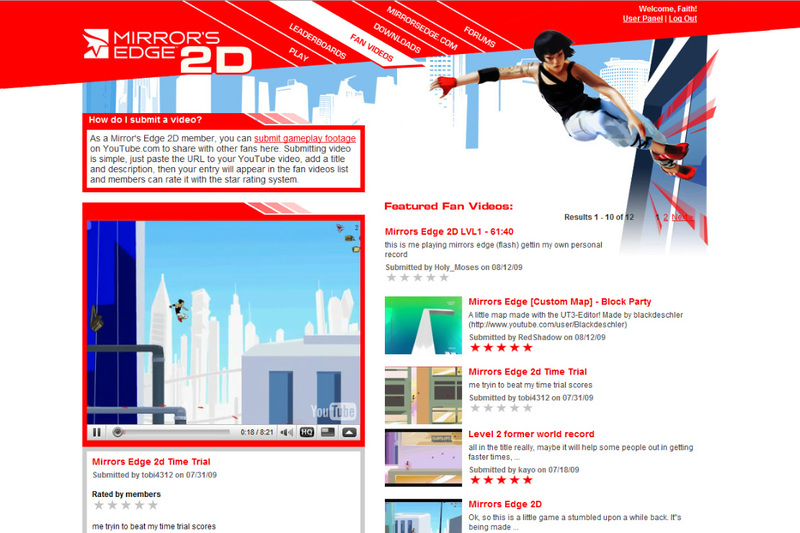 Mirror`s Edge 2D website designed and produced by Beck Interactive, Inc.